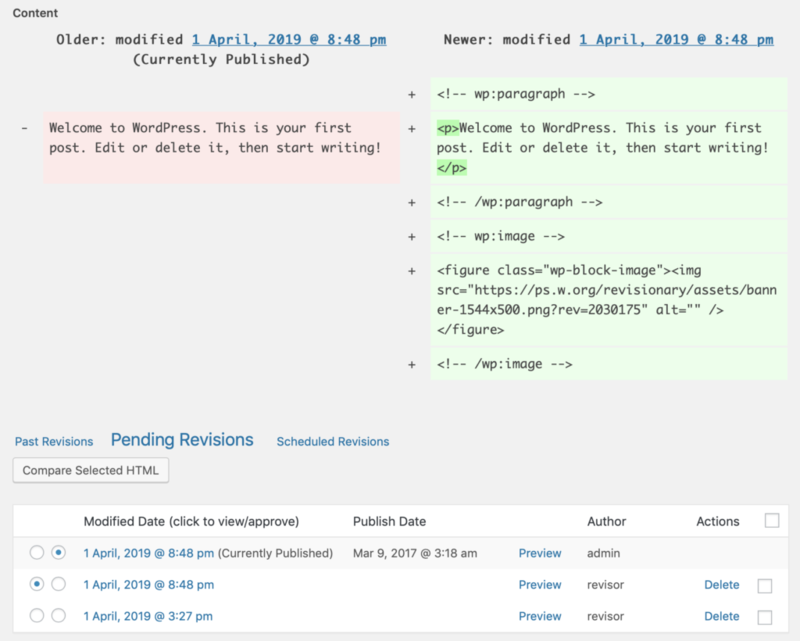 About one month ago, we relaunched Revisionary, the plugin for managing, scheduling and moderating WordPress revisions. Over the last few weeks, we’ve been hard at work updating Revisionary to work with the Gutenberg editor. I’m happy to say we’re almost there. Version 1.3 of Revisionary is available now with Gutenberg compatibility for many features. When you use Revisionary as someone who is only to submit revisions, you’ll see the button shown below. Normally, this applies to members of the “Revisor” role, which Revisionary makes available. If you are an Administrator or Editor, you can schedule the revision to be published later. 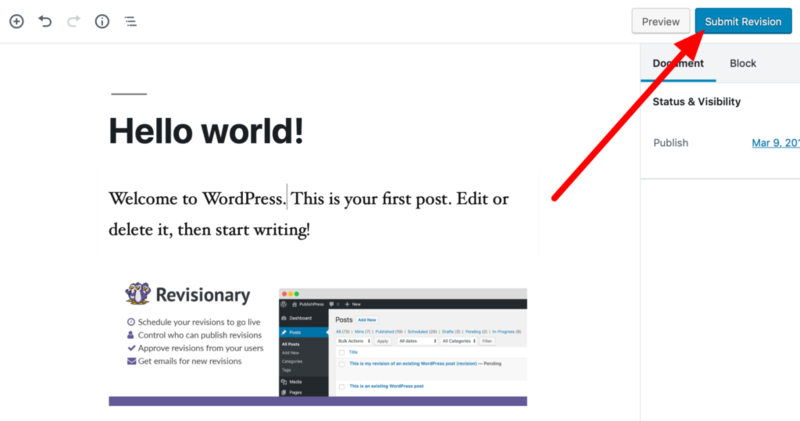 You do this using the core “Publish” date option in Gutenberg. The button in the top-right corner will change to say “Schedule Revision”. Edit revision content or publication date in “Revisions Manager”. Go to the “Edit Posts” screen. If you preview a revision, and have enough permissions, you’ll see a message across the top of the page: “Publish this Pending Revision now”. Click that link and the revision will go live. 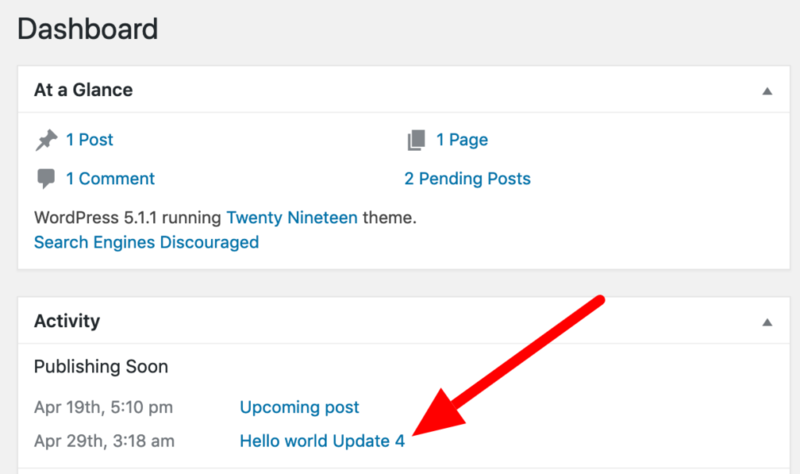 What isn’t ready for Gutenberg? 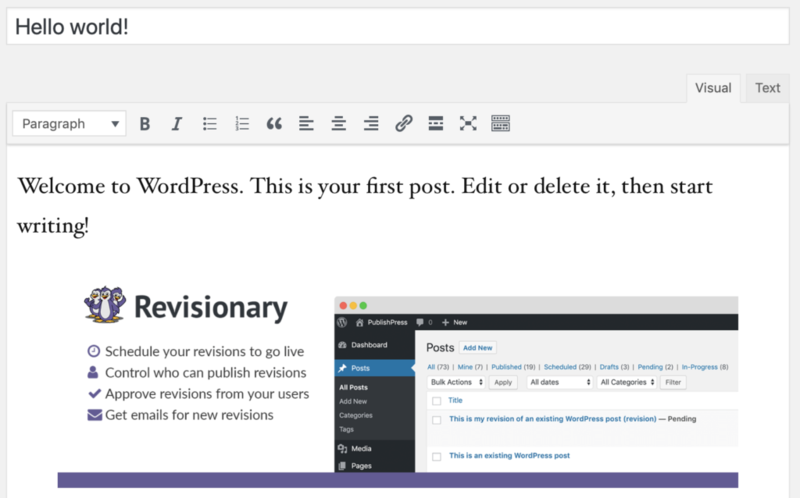 The only major Revisionary feature that is not integrated with Gutenberg is the Revisions Manager. This part of the plugin still uses the Classic Editor. It is used to compare revision differences, manually edit revision content or change the scheduled publication date. If you edit a Gutenberg post in the Classic Editor, then 95% of the time, nothing will be break. However, a note of caution: some Gutenberg-specific features (particularly from 3rd party plugins) may not be backwards compatible with the Classic Editor. Our next major Revisionary update will bring full Gutenberg support on this Revisions Manager screen. This is a new option in the latest Revisionary relese: scheduled Revisions will now also the update publishing date. 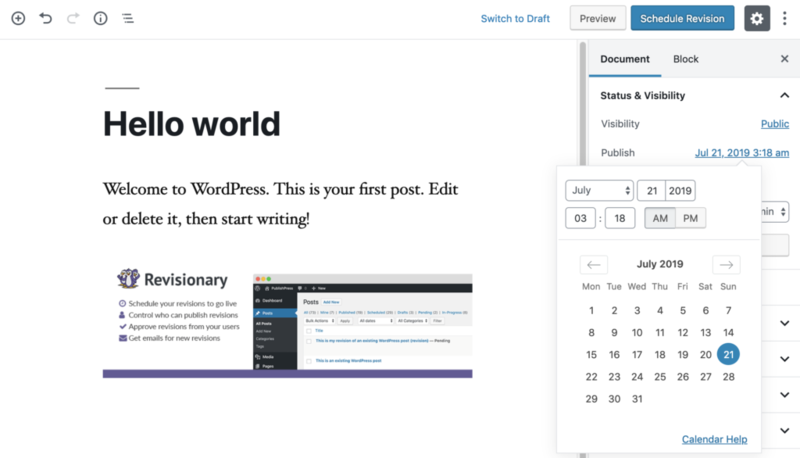 So if you schedule a revision to go live on July 21, 2019, the publishing date will automatically update to July 21, 2019. You can disable this behavior. Go to Settings > Revisionary and uncheck the “Update Publish Date” box.